BANGHAZI (Sputnik) – The Libyan National Army (LNA), led by Field Marshal Khalifa Haftar, has recaptured so-called Checkpoint 27 to the west of Tripoli as part of its offensive to take the city, controlled by the rival Government of National Accord (GNA), a high-ranked military source told Sputnik on Saturday. The LNA operation began on Thursday. 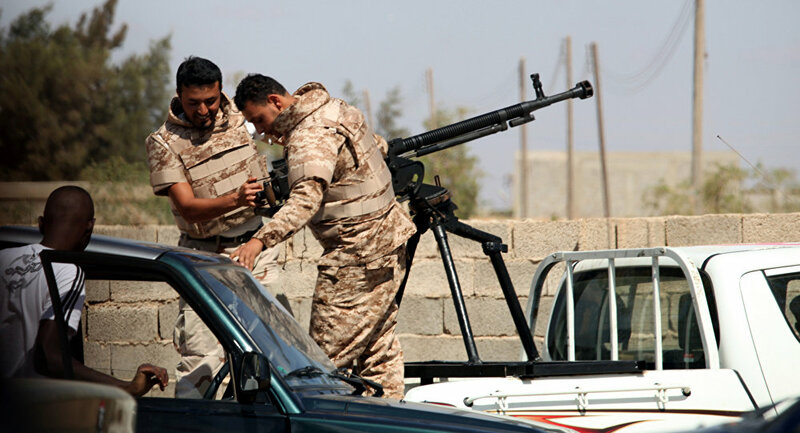 Media reported on Friday that the pro-Haftar forces initially made an attempt to regain control over the checkpoint, located in the Wershiffana area some 30 kilometres (18.6 miles) west of Tripoli, in a bid to block off the coastal road to Tunisia. However, they subsequently retreated. "The forces of the Libyan National Army again restore control over Checkpoint 27", the source said. Haftar launched the offensive on Tripoli for "liberating the city from terrorists". A source in the LNA told Sputnik that the forces had already captured several settlements to the southwest of Tripoli while advancing on the city from several directions simultaneously. LNA earlier said in a statement that they had entered Al-Swani area to the southwest of Tripoli. "The brave armed forces enter Al-Swani area … The Libyan Army captured a group of terrorists who fled Benghazi", the statement read. On Friday, a source told Sputnik that the LNA had captured Al-Swani and Janzur southwest Tripoli. The GNA's head, Fayez Sarraj, for his part, has instructed troops backing him to use force if necessary amid the LNA offensive. The LNA has refused to specify any time frame for its operation but said its offensive would be underway until the force had met all its objectives. The UN Security Council has called on the LNA and the forces of the rival Government of National Accord to de-escalate tensions and engage in dialogue.